I’ve been thinking a lot lately about the irony that, as broken human beings, we are conditioned to clean ourselves up, put on a smile and pretend that everything is ok before we step through the doors of the church. In some ways, it would almost be easier if our wounds were visible, like the man in Jesus’ synagogue encounter… if other people could tell just by looking that no, we most certainly were not ok, that we were in desperate need of healing, of people to gather around us and gently tend our wounds. I wonder sometimes just how many people come to church each Sunday with giant, gaping ‘soul wounds’ (I know I do more often than I care to admit). We are in desperate need of healing, of people to gather around us and gently tend our wounds. But instead of admitting our need, we put on a smile, sing some praise songs, listen to a message, greet a few folks, grab our coats and head out into the cold—to face our ‘soul wounds’ alone. “Stand up and come out here in front!” Jesus’ words cut through the façade and spoke directly to the man with the shriveled hand. Did the man stop to worry about the possible repercussions of his obedience as he slipped out of his seat and stepped toward Jesus? Who would relay the story in the lobby after the service? Who would judge him—blame him for his own weakness? The Bible says that there was a dead silence and I imagine the man’s quickened heartbeat echoing in his ears, his mouth suddenly dry, his mind reeling. We don’t know what he was thinking in the long moment before Jesus spoke his next words. But we do know what he did. He stood up. And then Jesus broke the dead silence with words of life. “Stretch out your hand!” In that vulnerable moment of obedience, of admitting his need and reaching out to Jesus, an amazing thing happened. The man was healed! Imagine what might happen if we, too, listened closely to the gentle voice of our savior and began to stand up and stretch out our hands… to bring our own broken, vulnerable ‘soul wounds’ to Jesus. Jesus and the man are not the only characters in this compelling story, though. In contrast to the man’s obedience stand the mocking faces of the others gathered in the synagogue that morning. Mark records that as this event unfolded, “Jesus, deeply hurt as he sensed their inhumanity, looked round in anger at the faces surrounding him.” Why was Jesus so hurt and angered by these religious people? I think it is because they were so worried about their Sabbath rules that they chose to overlook both the need right in front of them and the One who was infinitely capable of meeting that need. Their inhumanity was not in their failure to show up, but in their failure to actually be present. How often can the same be said of us? How often do I come to church to keep up appearances or to pay my religious dues or to set a good example instead of showing up expecting to encounter Jesus and to help those around me do the same? So the challenge emerges for those of us who call ourselves “the church” to create the kind of emotionally safe place where this beautiful kind of vulnerability, authenticity and obedience can happen. But how? Perhaps we need to remind ourselves (and each other) often that it is ok not to be ok—even (especially?!) at church. Maybe our call is to slow down enough to listen for that edge in someone’s voice, that question that they are silently begging someone—anyone—to ask. It could be that we need to pray for eyes to see the ‘soul wounds’ all around us and to respond gently, compassionately. And certainly we must stand alongside as our brothers and sisters respond to Christ’s call to stand up—maybe confidently and full of faith, maybe more hesitantly at first—and stretch out their hands to Jesus. In different circumstances, different seasons of life, I see myself at different places in this story. Sometimes I am the man with the shriveled hand… needy, hurting, wanting so badly for someone to ask how I am and care enough to actually listen to my answer. I hear Jesus’ call to stand up and stretch out my hand (once I take my fingers out of my ears!) and sometimes I do. But sometimes I am too scared… I don’t want to admit that I am not perfect, that I don’t have it all together. What would people think if they knew who I really am? And then the focus shifts and I find myself in the crowd. When Jesus looks around and locks eyes with me, will he see my inhumanity? My mind is quick to rush to judgment and slow to reach out in compassion. It’s easy to smile and wave a quick hello. It’s hard to listen, to love, to stand alongside. It’s easy to give ‘good Christian advice’ and say that you’ll pray. It’s hard to be a good friend, to really pray, when your words seem small and inadequate. Fortunately for us (and for the brothers and sisters around us whose lives are crippled with devastating ‘soul wounds’), Jesus doesn’t call us to do what is easy. He calls us to look with compassion on those around us who find themselves in places of desperate need and to look in faith to the One who is infinitely capable of meeting that need. This weekend, my daughter painted my toenails. Purple and sparkly blue. With all the precision that a busy six year old (with admittedly good fine-motor skills) could manage. And I took my purple and sparkly blue toes all over town. In sandals. I am a recovering perfectionist. Achievement and mastery have motivated me since I was a kid. I want to perform well not to beat anyone else, but just to say I’ve done it. I spent lots of years polishing my perfect student routine in school, and then I made a career of it. I was on a quest to be the perfect teacher. I went (many, many hours) above and beyond to be the absolute best teacher I could be. And then I became mommy. Overnight, my life changed and my priorities shifted. I came pretty quickly to the realization that I had to let go of the quest to be the perfect teacher. I remember saying, “I want to be a good enough teacher so that I can be the best mom.” And so the quest for perfect mom began. But here’s the thing, friends. Mommying is hard. Really, really hard. There is freedom in good enough. I am a good enough mom when I let my daughter buy chicken poppers and tater tots for lunch at school instead of packing organic produce and free-range eggs in a bento box for her. I am a good enough mom when I refuse to play Barbies because I find it terribly boring. I am a good enough mom when I get angry and yell and kick inanimate objects. Sometimes good enough is good enough. In pedicures and parenting. Last week, while looking through some of my old writing, I ran across a file cryptically entitled FC1. I opened it and read this with tears in my eyes, reliving the moments that I held my first foster babies K and N over two years ago. I love them. That is the short story. Over the course of three days, the two most chill toddlers you will meet captured my heart (and, I think, my family’s hearts too). I love holding them and watching them smile. I love showing up at nursery and having N run, grinning, into my open arms. I love picking them up at daycare and having K attack my legs the moment he sees me. I love watching them play with my nephews. Watching them kiss my sister and roughhouse with my brother-in-law. Watching them dance as Dad plays the piano and enjoy every morsel of Mom’s home-cooked meals. I love kissing their sweaty heads and assuring them that they are safe. I love rocking them and singing “Jesus, Lover of My Soul” as they fall asleep. I also love what they do to me. I love the mommy side of myself. I love thinking about the children God has created to be mine (and warming to the possibility that they may be younger than I thought). Do they make me cry? Yep. Singing “Masterpiece” on the floor beside N’s pack-and-play brings sobs, but she doesn’t care. Dropping them at daycare makes me need a nap (one of my ‘sad’ coping skills). After strapping them into their carseats, I watch from the window for one last glimpse of them. Singing “in You, the fatherless find their rest” at church this morning causes me to tear up without a second thought. Thank you for coming into my life, even if it is for only these three days. I love you. Jesus loves you. If he causes our lives to intersect again, I will be so happy. But even if not, your presence in my home was a gift. I was praying for you as I stroked your heads and rocked with you in the chair. And I am praying for you today. Be safe, my babies. The very nature of foster care means that most often, you don’t get to know how the story ends. As a foster parent, you have to resolve yourself to this reality. Today was a special gift of grace. I saw K first. Though he had grown (a lot), his face was unmistakable. I got to meet his mom and dad and see little N (not so little anymore). They are being adopted together with their older brother. They are beautiful. And loved. And happy. And safe. Tonight, my heart is full. These babies are home. My daughter is home (two years today!). For this one moment, at least, all is right with the world. Growing up in church, I heard a lot of Bible stories, and the ones I loved most were the dramatic ones. The ones where God showed up and left no question about who was in charge. You know, Elijah calling down fire from heaven, Joshua leading God’s people around Jericho and watching the walls crumble. I can just imagine the disciples debating about whether or not to wake Jesus as rain pours into their boat and waves toss them far off-course. “Jesus, don’t you care about us? We’re all going to die!” And with a simple command from the Master, the wind dies down and the water grows calm again. I love it… not just for the drama, but because it shows Jesus’ power to deliver His people from a storm that they are certain will overpower them. I don’t know about you, but this has been a challenging year for me. Even before the talk of recession, many of those that I love lost something dear to them… their good health, a loved one, a dream held close to their heart. I find myself in the middle of a lot of grief and tragedy. The sky is ominously dark and the water is looking pretty choppy. As I listen to the disciples’ words, “Jesus, don’t you care about us?” I hear them echoed in my own prayers. Why is my friend lying in a hospital bed fighting for her life while her babies grow up without her? Why is a good man’s life cut short when he was so dedicated to helping others? Why does a beautiful, godly woman have to live her last months in pain, watching her body and mind deteriorate from the ravages of disease and the medicine intended to kill it? Jesus, don’t you care about us? I want You to show Yourself as the one who speaks a word and calms the raging storm! 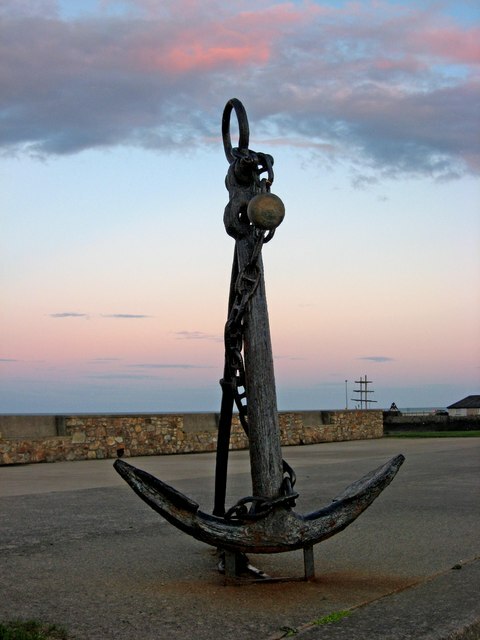 There’s nothing dramatic about an anchor, but as I read through Hebrews, this image resonates deeply with me. Why? As strange as it may seem, it describes perfectly how I am experiencing God right now. In the midst of the grief and tragedy, in the middle of the storm, I have hope as my anchor. Not wishful thinking or naivety, not denial or a glib proclamation that ‘everything will be ok.’ This hope is something deeper, something harder to define. What does an anchor do? It doesn’t calm the storm. It just keeps the boat from drifting too far. The reality of the difficult situation remains. My life, and the lives of those I love, are not immune from tragedy. The grief is real, the emotions are real, the questions are real. And in the middle of it all, I am absolutely convinced that I won’t drift too far. I am confident that my God is big enough to handle all of the questions and the whirlwind of emotions that make my mind spin. I am secure in a faith that keeps me grounded and settled, a belief in One who makes sure that I won’t drift (or get tossed) too far. I don’t know why Jesus doesn’t always choose to calm the storms in our tumultuous lives. But I think maybe it is because He wants us to experience Him not just as the One with the power to deliver us from the storm, but as the One with the compassion to walk with us through the storm as well. So, when dark clouds loom on the horizon and waves start crashing, know that it’s ok to feel, it’s ok to cry, it’s ok to question, and it’s ok to hope. This hope, this refuge, this anchor ushers us into the inner sanctuary, into the very presence of a holy and compassionate God. It shows Jesus’ power to walk alongside His people through a storm that, alone, would certainly overpower us. And, ultimately, it leaves no question about who is in charge. In John 4, Jesus was on his way from Judea to Galilee and verse 4 says that “he had to pass through Samaria.” The most direct route from Judea to Galilee did pass through Samaria, but Jesus never really seemed to be one who cared about taking the most direct route. He was more about the journey, the process, and the people than the destination. Plenty of folks took the detour around Samaria just to avoid “those people,” and certainly Jesus could have averted his eyes, quickened his pace and taken the long road around. I don’t think it was geography that compelled Jesus to Samaria. I think it was grace. When he sat down for a rest at Jacob’s well, I believe it was grace that compelled Jesus to look into the eyes of this Samaritan woman and speak powerfully to her need. When “those people” heard her story and prevailed on Jesus to tell them more, I believe it was grace that compelled him to stay, to linger, for two more days. When others turned their heads, I believe it was grace that compelled Jesus to speak the words of truth that drew many more into belief. We say we know him. We say we follow him. We say that grace compels us too. What is our Samaria? Who are “those people” for us? You know, the ones from whom we avert our eyes, quicken our pace and take the long road around. Does this same grace compel us not only to “pass through” their lives but to look into their eyes, to speak words of truth, to linger? There are a few folks in my life who model this so well. It is crazy hard for me. But this week, I’m choosing the crazy hard obedience of lingering. This week, I’m choosing to be compelled by grace. As I was thinking more about this, I realized that when God gently picks up those broken pieces, He often chooses not to put them back together in exactly the way that they were before. Instead, He has the incredible ability to make something new, something fantastically beautiful out of those broken pieces. Instead of taking the smashed bits of pottery and gluing them back together to make a fragile, bumpy, once-broken-and-now-cracked plate, He can arrange those same smashed bits into a mosaic. But just like you can’t make a mosaic out of one broken plate, God chooses to put the pieces of my broken life together with the pieces of the lives of other broken people. We certainly didn’t look the same before we were broken, and we don’t look the same now… we have different shapes, different sizes and different patterns. But we’re part of the same mosaic… the same plan designed in the mind of Almighty God that our finite minds can’t even begin to fathom. Sometimes, we feel like we were broken because someone or something or some circumstance accidentally knocked us off the comfortable place where we were sitting, and sometimes we feel like we were broken because someone or something or some circumstance deliberately smashed us to smithereens. But the fact of the matter is that, one way or another, we all had to be broken. You don’t glue a whole bunch of plates together and call it a mosaic. As hard and painful and humbling as it is, sometimes we have to allow ourselves to be broken in order to be made part of something bigger… something more amazing and beautiful and strong than we could ever be on our own. It’s easy for me to admit this reality when my life is already in shambles. “Ok, God,” I say, “here are my broken pieces.” It’s much harder when I feel like I have things all together. “I look pretty good, don’t I?” I ask, “Are you sure I need to be broken?” But if I really want to be faithful, to be obedient, the answer is always yes. I might think I look pretty good on my own, but my All-Knowing Creator sees beyond my pathetic façade. He has a better plan… a plan that involves much more than just my little reality. 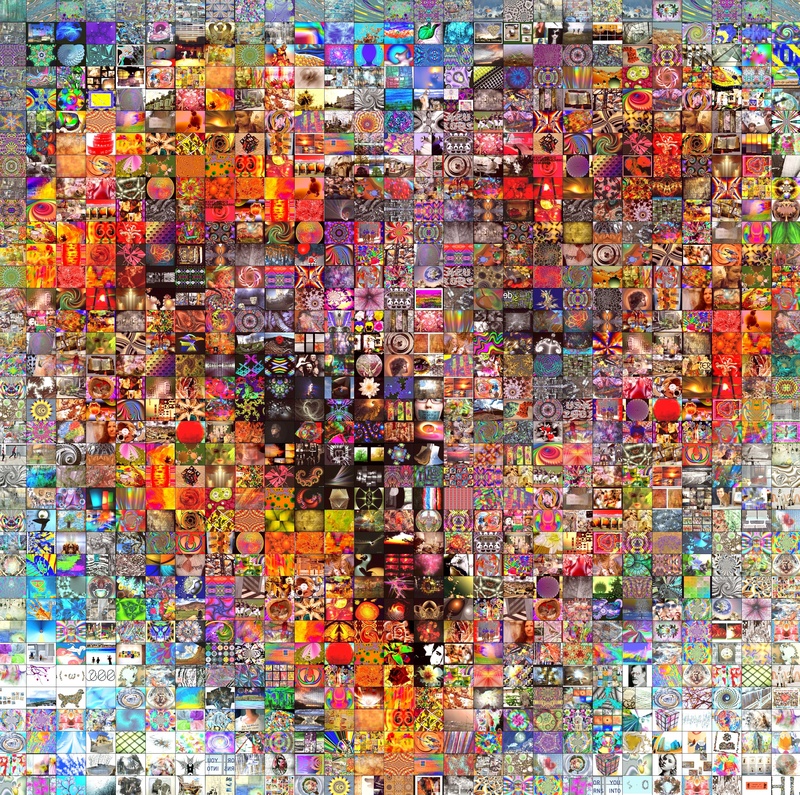 A plan that puts together the pieces of broken hearts, broken dreams and broken lives into a new reality… a beautiful mosaic that shines God’s love and hope and healing into a broken world. One of my preferred methods of choosing books is to amble through the “new releases” section in the library (side note: in my completely unbiased opinion, Frederick has the most beautiful library in the world—seriously, a spiral staircase!) and wait for inspiration to strike. On my most recent visit, I came home with Christine Gross-Loh’s book Parenting Without Borders. No, it’s not a new non-profit that takes volunteers into developing countries to practice parenting for a year. It’s a reminder that, like everything else, our ideas about what good parenting looks like are strongly influenced by our own cultural norms and expectations. Do our kids really need rooms full of toys that talk and roll around and flash lights? Does telling them they’re wonderful make them wonderful? Should we step in to intervene when they have a conflict with a peer? Will they be doomed to failure in life if they can’t read when they “graduate” from kindergarten? Can we teach them to be kind and responsible? And, really, can’t we just let them play? It’s not a traditional parenting book. It’s a whirlwind tour around the world with a peek into how childhood looks different in different places. If you’re interested in such things, it’s worth a read.